In the desert, the flowers that bloom are rare, last for a short season, and are all the more special for it. One of these is the desert phlox which displays its bouquet of pink and lavender blossoms against the dry, sandy soil. Choose your own floral handpainted colours to knit this openwork shawl with its decorative lace panels. Worked along the bias in a combination of Garter Stitch and lace faggotting, it offers exquisite drape and the gentlest coverage when outside temperatures soar. 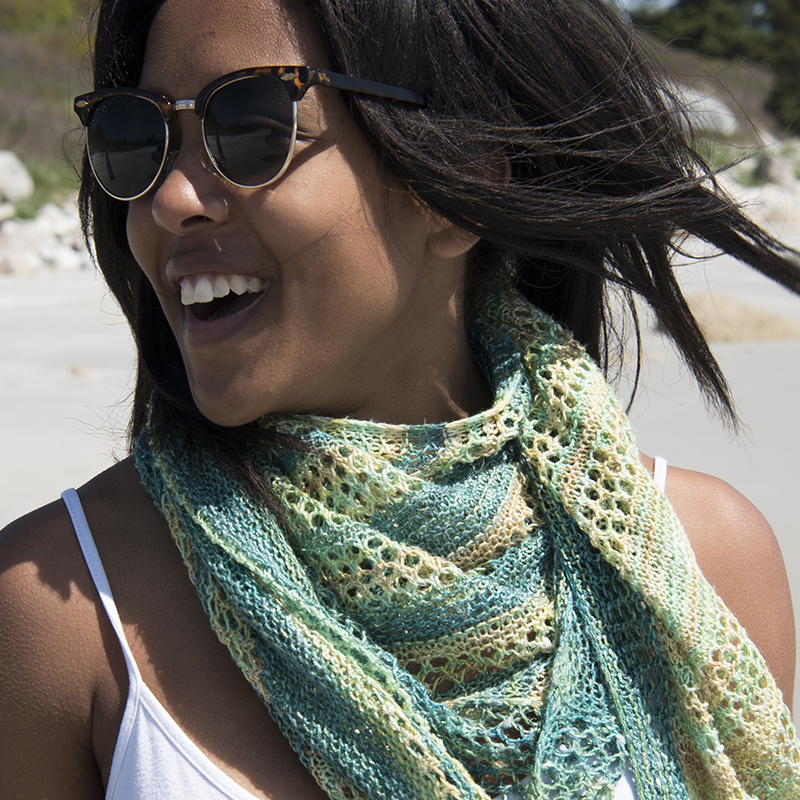 Desert Blossom is offered in two sizes: shawlette and full-size shawl.